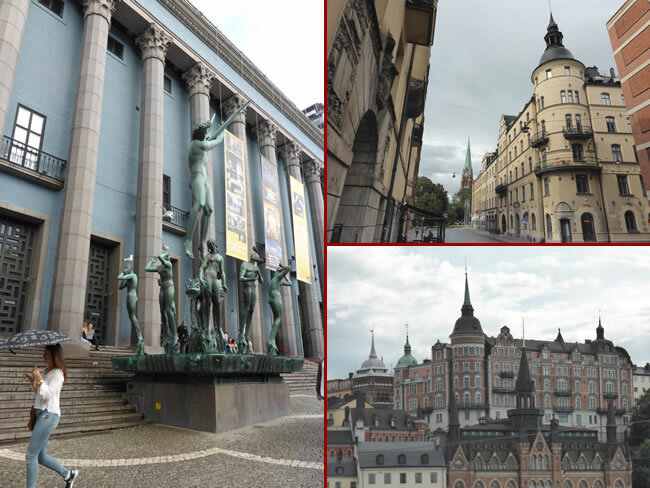 Here are more of the photos we took as we wandered around the city of Stockholm. This public artwork is called Orpheus and is outside the Stockholm Concert Hall. It started to rain lightly so we jumped back on the subway and headed next to Gamla Stan - the old city.